Seeing is believing, and if you’re seeing a destructive path paved with $217,000 worth of smartphones being threatened with a 4.6 ton Cat 277D Multi Terrain Loader, you’re bound to want one of those 600 smartphones. Gravity isn’t the only physical force threatening these rugged smartphones, one lucky phone goes through a wet dunking in a pool of water after getting dropped from 35 feet above the ground. In the video below, you’ll see that even if you’ve had a rough week, these CAT® Smarphones are going to outlast all of your destructive antics. The Cat B15 is made of tough stuff. Its aluminum body, toughened casing and Corning Gorilla glass screen make the Cat B15 impact-resistant, scratch-resistant, dust and waterproof*. 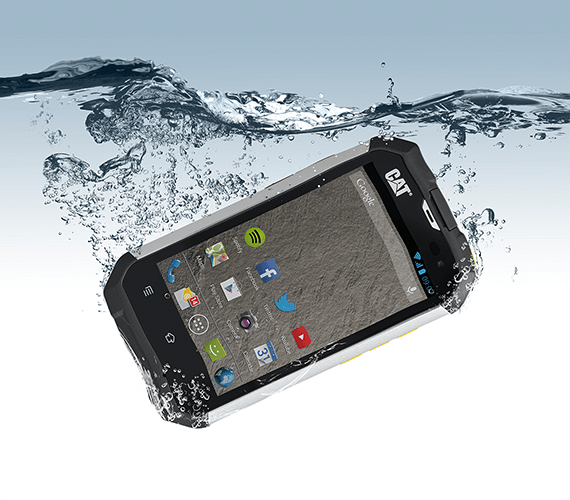 The Cat B15 runs on Android 4.1 (Jelly Bean) and is powered by a 2000mAh battery and dual-core 1GHz processor. It’s also loaded with smart features such as Wi-Fi, GPS, 3G internet and access to the Google Play Store for applications. Rugged and dependable – that’s the Cat B15.